It is an increasing requirement for small craft to be deployed from naval platforms and other ships. Some craft are required to be transported and deployed from aircraft and helicopters. 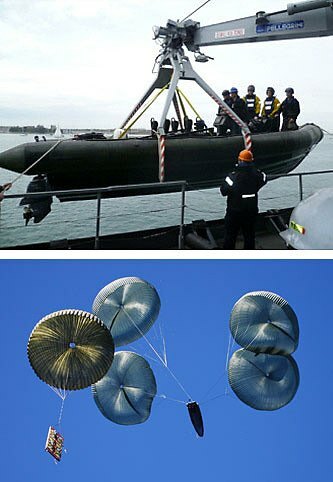 We have been responsible for the design integration of various boats with warships, patrol craft and commercial vessels, and with military aircraft for transportation and air-drop. We have experience in the following types of integration and we work closely with the specialist equipment suppliers to ensure compliance with military and commercial standards.